The wisest investment Arkansas can make in its people is to provide quality pre-K. Arkansas is a poor state where almost one-third of our children live in poverty and more than 60 percent are eligible for free and reduced lunches. Failing to ensure that these children are ready to learn when they start school greatly increases the risk of failing in school or not finishing school at all. If we don’t insure that these children are academically successful, we will have lost almost two-thirds of our future work force. Arkansas can’t afford to do that. We already have examples of losing out on economic opportunities due to the poor quality of our work force. 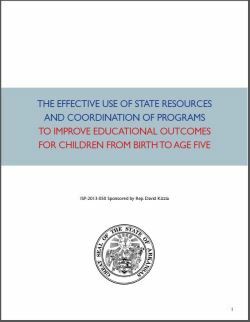 Other states are moving forward with pre-K investments. Oklahoma is making tremendous progress, as are Georgia and Ala­bama. Doing nothing when others are going all-in is setting Arkansas on a path to further economic loss.